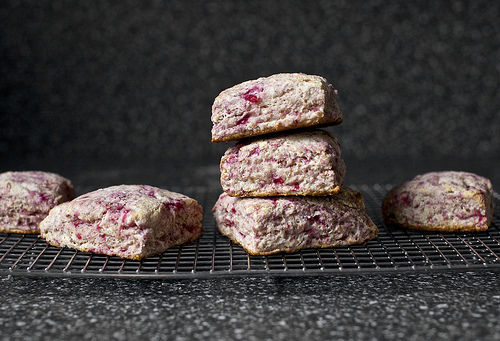 This is my new favorite breakfast recipe: Raspberry Ricotta Scones! This week I came across some great articles that I thought you might enjoy and benefit from as well. We talk about being justified by faith alone, but maybe you are not really sure what it is meant by that phrase. Well, our friend Christina Langella has a guest post at Theology for Girls which is worth reading (please don't even try to skim through it, read it carefully. You will not regret it. ;) ). "Whether you have been serving God for a little while or a long while, it doesn’t matter. The whole of your Christian faith is grounded in this one doctrine.It is the truth of God’s grace in Christ towards sinners, and it will not only deliver you from the darkness but it will also keep you on solid ground." My dear friend Trisha Poff wrote an excellent and timely article on the need of becoming Titus 2 Women. "I'm watching women dismiss our home-centered calling as they insist on blurring the distinctive roles God has given men and women, sometimes in the name of being "Gospel-focused," as though biblical womanhood is void of the Gospel dwelling in us richly." On the same line, The Gospel Coalition has an article (from February 28, 2013) for women in need of a mentor: How to Be Mentored Without a Mentor that is very practical and encouraging. "You may be longing for a formal mentor, someone who can sit down and speak into your life each week. Pray and ask God for that tremendous gift. He may grant it. But if he doesn't, or until he does, seek out resources already available to you in order to be mentored—even at a distance—by other Christians. I often challenge young, busy moms to read one chapter of a good book each day. You can work your way through a number of books that way. And you're giving your soul something nourishing." "Let the Bible bring you back to reality over and over during the day." My favorite, favorite, app that has helped me do this and also has helped me with my memorization projects is Fighter Verses, also by Desiring God. I love it! Considering that two of my links this week have to do with becoming a Titus 2 Woman I thought maybe we could share some about that here. 1. Who have been the most influential mentors -in your vocation as a Christian wife/mother- in your life (women you know personally and/or authors)? 2. Are you purposely mentoring younger women? 1. In my life, I can quickly point to my sister and Nancy Wilson (I am not mentioning men authors, since this is a question about Titus 2 women). I think also of a friend who reminds me (even the way she speaks!) of Elisabeth Elliot. Elisabeth Elliot, by the way, is becoming a mentor to me in this stage of my life. I have also learned (and still learn!) a lot from different godly friends: there is one who always listens attentively while looking you at the eye with her apron on and a "beautiful tomato" on her hand; another whose mouth is full of the Word of God and with whom sometimes I talk on the phone for hours -she is my life editor of the sort-. There is one who prays without ceasing and cooks the best carrot soufflé ever! Others whose example of love and dedication to their children (biological and adopted) and their perseverance in prayer for them -and even hard physical work- have always been a silent challenge that speaks loudly to my life. 2. Yes. But not enough. I am now almost solely focused on my daughters, especially on my oldest who is leaving for college next fall! So much to talk and pray about, so many hugs to give and laughs to share.